In the Fall of 2016 FCYO launched a new web platform for youth organizers and funders called the Youth Organizing Landscape Map. The vision for this platform, is to create a simple and informative online searchable map and database to share basic information on youth organizing groups and their campaigns across the country and connect different organizing groups together to share resources coming out of their work. 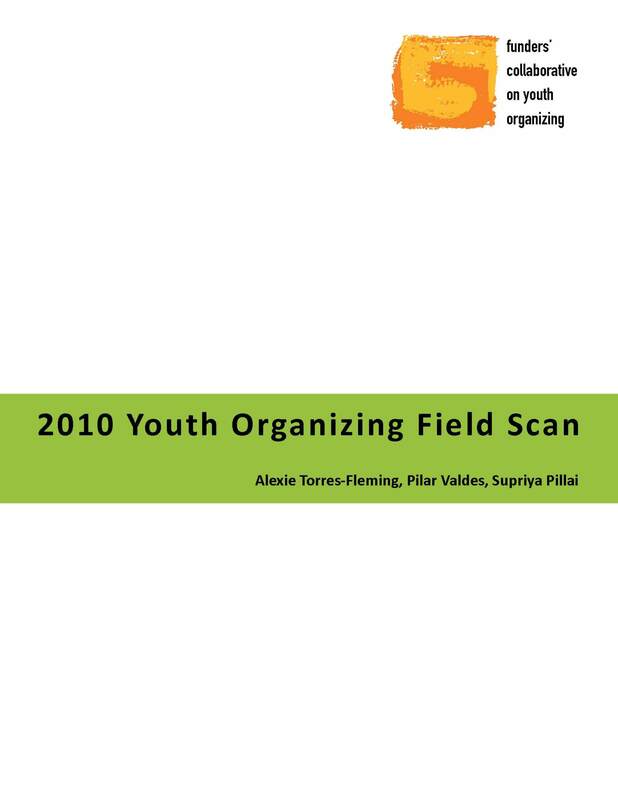 FCYO has conducted several national field scans of the youth organizing field in the past, and these reports, while very valuable in conveying the key issues, trends and challenges of the field at a particular point in time, were very time-intensive and provided static information on a field that is dynamic, evolving and fast-paced. The Youth Organizing Landscape Map provides in-the-moment information on the youth organizing field, to keep pace with youth-led organizing work as it happens.This information will help FCYO raise the profile of youth organizing groups, connect them with peer resources, help us advocate for additional funding, build overall knowledge about the field, and help us ensure that we are engaging a wide array of groups in our own programs. We see this map, and its open enrollment to groups in the field, as a way for us to learn more about, and engage groups beyond our traditional audience, including young adult, college-age young people and unaffiliated youth organizers. We are encouraging youth organizing groups across the country to enroll in this site and keep profiles up-to-date with your most recent work, so that FCYO and other funders can learn more about the impact your work is having in your communities. Who else in the country is running a similar campaign to ours? Who can we connect with across state lines to run a shared regional campaign? Who else offers holistic support services to young people that we can learn from to build out our own work in this area? What groups were founded within the past 5 years and what do they focus their work on? What is the average budget size of groups working on Immigrant Rights issues? Who are the top 3 funders of youth organizing groups in the Southeast? For now, this site is password protected for security reasons. For funders and other parties interested in using the map, please contact Will Buford (will@fcyo.org) for information on how to access the map or for data inquiries on specific aspects of the youth organizing field.